San Francisco and San Jose are now at the cutting edge of another tech trend, and one that has nothing to do with smartwatches or social-media startups—not directly, at least. The cities are among the first Wi-Fi operators in the world to make their networks cooperate using the emerging Hotspot 2.0 standard. There’s one big limitation, in that their deployment only works with a list of Apple iOS 7 and OS X Mavericks devices for now, but they will broaden device support in the future. Hotspot 2.0 is still being used mostly by service providers, such as Boingo Wireless and Time Warner Cable, across networks of hotspots that they control. But the two cities at either end of Silicon Valley operate totally independent networks. They’re pioneers in using a standard that eventually could allow all sorts of Wi-Fi hotspots to automatically give users secure connections. Both cities’ networks have been easy to get on from the beginning. San Jose started turning on free Wi-Fi last year, and it now has more than 400 access points working there and at its airport two miles away. San Francisco lit up its Wi-Fi along a three-mile stretch of its central Market Street late last year. Users don’t have to give any information to use either network, just tap through a splash screen to agree to terms of service. But while easy to use, the networks were also open and unencrypted. Both cities have now activated the Wi-Fi Alliance standard WPA2 Enterprise (Wi-Fi Protected Access) so visitors can choose to go onto Wi-Fi securely, with AES 256-bit encryption of their traffic. There’s still no sign-up process, but the network sets configurations on the user’s device so it can take advantage of WPA2. Along the way, each user is authenticated and authorized through a cloud-based service to use the network. From then on, whenever in range, the user’s device will automatically get on. The breakthrough with Hotspot 2.0 is that the one-time approval that takes place through one city’s network automatically works in the other city, too. Once authorized in one city, a traveler will then automatically be online in either place without doing anything. Both cities get their Wi-Fi gear from Ruckus Wireless and use Global Reach Technology, a Ruckus partner, for back-end services such as authentication and authorization. But the interoperability between their networks doesn’t rely on their common sourcing. Just complying with the standard is enough. Ruckus has Passpoint-certified access points, as do Cisco Systems, Aruba Networks and other manufacturers, so technically any of those networks could offer Hotspot 2.0 services. There are also a growing range of certified mobile devices, including some Android phones. After the technology’s activated, all that’s needed is a roaming agreement so the authentication done for one network is also valid for the other. San Jose is already considering possible roaming agreements with downtown hotels adjacent to its convention center, said Vijay Sammeta, the city’s CIO. If visitors staying in those hotels could go to the convention center and back without having to find and log in to different Wi-Fi networks, it might increase hotel bookings and in turn boost tax revenues, he said. The beauty of the standard is that it clears up the technical issues, said Farpoint Group analyst Craig Mathias. The way forward is clear, technologically, so now it’s just a matter of vendors and network operators implementing it and negotiating the business terms for roaming. “Passpoint will be incredibly common over the next few years,” Mathias said. 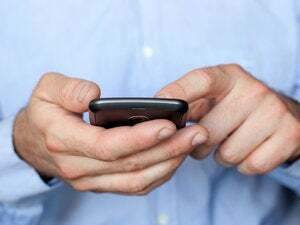 Mobile operators may eventually be big drivers for it as they try to make it easy for their subscribers to use Wi-Fi’s unlicensed spectrum, he said. The carriers’ own licensed spectrum is more expensive and more scarce, and they might pay operators like San Francisco and San Jose good money to let their subscribers on. “It just takes time. ... There’s no problem with the technology,” Mathias said.